Everyone has expertise worth sharing—and you can absolutely make money teaching what you know — but how do you go about choosing the right topic? Whether you're a business owner, coach, creative, freelancer, or influencer, this course will help you choose the right topic to focus on. From there, you'll expand your business, and earn respect in your niche. Even better? Online courses give you your time back—time you can invest in other aspects of your business, your community, and even your family and friends. Congratulate yourself on taking the first step toward starting your online course business! 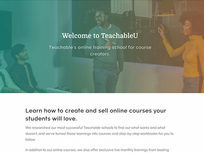 Teachable is an all-in-one technology solution that empowers instructors to transform their knowledge into income via their online course platform. You’ve done everything the right way. 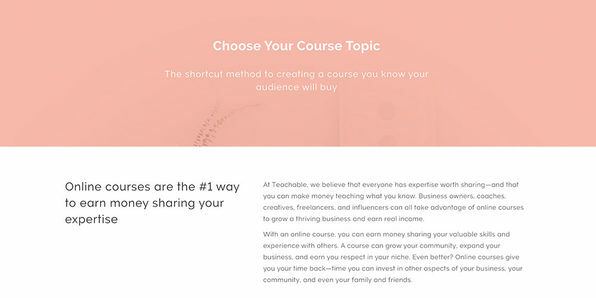 You’ve researched your niche, validated your course topic, and you KNOW you’re building a transformative, high-quality online course.There’s just one big problem...who’s going to buy your course?! The biggest blocker to your success as an online course creator isn’t the quality of your videos or the design of your website — it’s the audience. 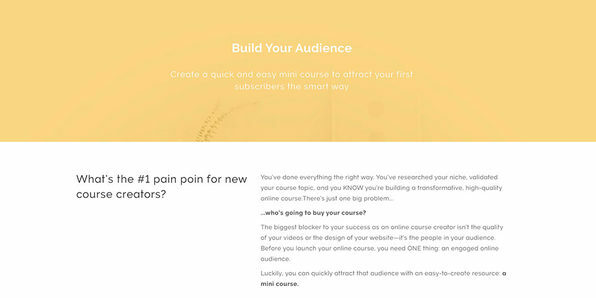 Before you launch your online course, you need ONE thing: an engaged online audience. 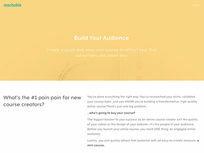 Luckily, you can quickly attract that audience with an easy-to-create resource: a mini-course. You only need 500–1,000 subscribers to have a profitable course launch, and this course will teach you how to get there. 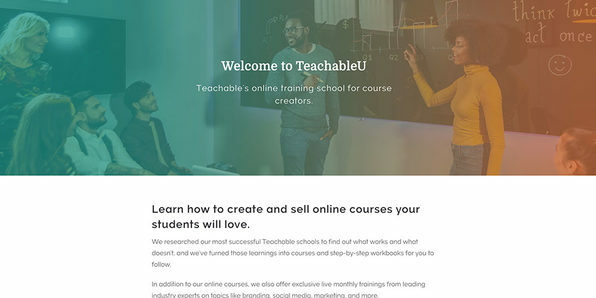 With Teachable, anyone with an Internet connection and a computer can create a valuable online course. But if you’re like most course creators, you might feel concerned about exactly how to translate your knowledge and expertise into a high-quality, engaging course. One of the biggest misconceptions about online courses is that they are 100% video-based. Actually, when you’re creating your course content, you can mix and match everything from videos and screencasts to PDFs, quizzes, and slide decks. It all depends on what works for your topic, and what makes you most comfortable. 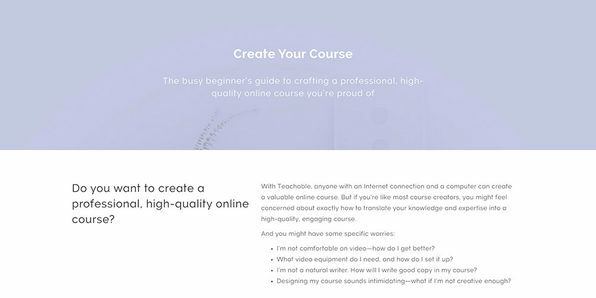 This course is for anyone getting started on their first profitable online course, including total beginners through seasoned bloggers or coaches. How large does my audience need to be? How can I create a sales page? What should I put on my sales page? What is an ecommerce checkout sequence, and how do I optimize it? What’s the best way to get my audience to actually enroll in my course? How can I set up all of this sales stuff? Where do I even start with all of this? Plus, you’ll get a totally turnkey framework to use for every single element of your course launch, down to every last promotional email.